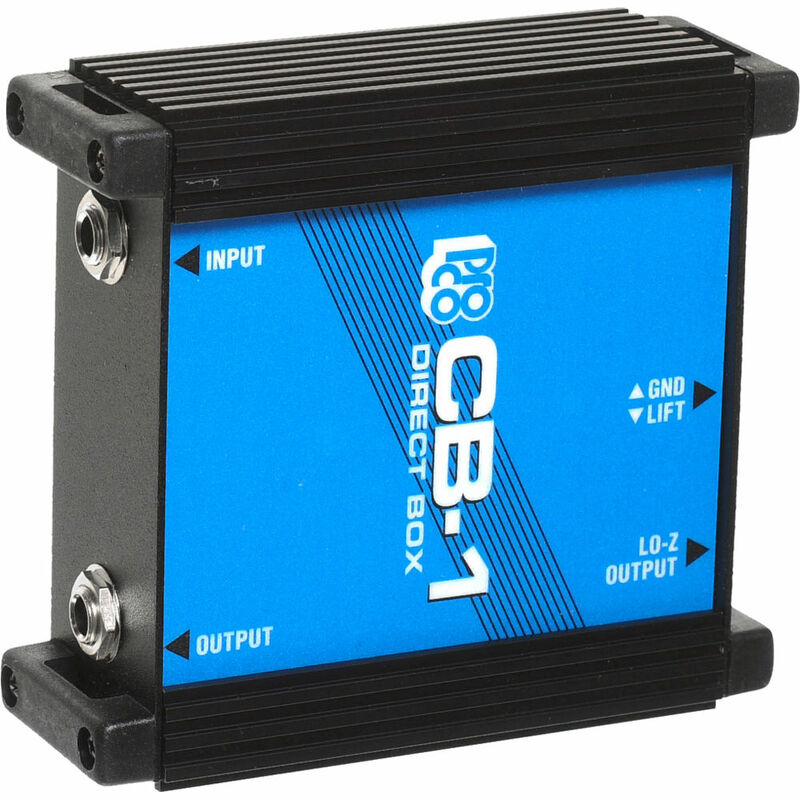 The CB-1 is a simple passive direct box that offers clean and reliable performance. It can be used for nearly any instrument or signal source, from electric bass, keyboards and drum machines to sub-mixers and external speaker outputs. The CB-1 preserves the "punch" and clarity of a sound that is often lost when placing a microphone in front of a speaker, while eliminating the leakage, distortion and coloration. The signal delivered to the P.A. or studio mixer is crisp and clean - a vital element in retaining the full depth and sound of such current equipment as FM synthesizers and digital drum machines. Built for the road, but equally at home in the recording studio, the CB-1 is housed in a rugged 16-gauge steel and aluminum "Uni-box" construction enclosure. The uniquely slotted side channels allow for stacking on top or strapping side-to-side of virtually any number of Pro Co Monoface devices using the Uni-box construction. Dimensions (WxDxH) 4 3/8" x 4 7/8" x 1 3/4"
Box Dimensions (LxWxH) 6.2 x 4.9 x 2.5"
CB-1 Direct Box is rated 5.0 out of 5 by 1.